Our law firm can represent on-the-job accident victims and other injured workers, including those who have suffered debilitating injuries such as brain injuries, spinal injuries and loss of limb. Those who have suffered permanent injuries may be eligible for compensation beyond workers’ compensation. If you’re recovering from a workplace injury — especially if the injury has caused you to lose your ability to work on a temporary or permanent basis — it’s time to seek legal help from our experienced New York personal injury lawyers. Call the Law Offices of Thomas J. Lavin at 800-394-4216. We fully understand how workplace injuries can pose a threat to financial resources, career prospects, and family stability. Injuries that may seem minor at first can develop later into serious conditions. Some of these injuries cause career-ending, longterm or permanent disability. The experienced Bronx workplace injury attorneys at the Law Offices of Thomas J. Lavin can provide the sound advice and effective representation that helps injured workers and their families face the future. While our lawyers are experienced workers’ compensation attorneys, we often find that workers’ compensation doesn’t adequately cover a victim’s full range of needs. Serious injuries often require longterm treatment, new childcare arrangements, long drives to healthcare facilities, and other hidden and unexpected expenses. However, workers’ compensation may not be the only source of benefits available. In many cases you may also have a personal injury claim against a third party. 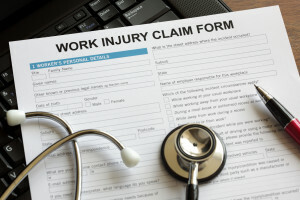 If you’ve been injured at work, if you’re injured in the future, or if you’re currently trying to obtain worker’s compensation benefits, speak right away with a Bronx workplace injury attorney at the Law Offices of Thomas J. Lavin. We will discuss your case, helping you with all aspects of workers’ compensation and helping you to determine if other sources of compensation may be available as well. If you suffer from a workplace injury in the Bronx, Brooklyn, or anywhere in New York State, speak to an experienced Bronx workplace injury attorney at the Law Offices of Thomas J. Lavin today. Call us at 718-829-7400 or toll free at 800-394-4216, or complete the form on our Contact Page. We never charge a client before you receive the compensation you need and the justice you deserve. Thomas J. Lavin, Esq. has served Bronx County for over 30 years. Since forming the Law Office of Thomas J. Lavin in 1984, Mr. Lavin has practiced personal injury law. John O’Halloran, Esq. is an associate at The Law Office of Thomas J. Lavin, P.C. He joined in the firm in 1999. Damien Rodriguez, Esq. is an associate at the Law Office of Thomas J. Lavin, P.C. He joined the firm in 2004. © 2019 by The Law Offices of Thomas J. Lavin. All rights reserved.